TechNation contacted IV pump gurus for this installment of the monthly Roundtable article. We asked experienced professionals to provide their insights regarding the latest advances in IV pumps as well as tips and advice that they think will benefit our readers. The roundtable panel for IV pumps is made up of Select Biomedical CEO Tom Fischer, Elite Biomedical Solutions Co-Owner/Vice President Nate Smith and Soma Technology Biomedical Engineer Majed Zaitoun. Q: What are the latest advances in IV pumps in the past year? Fischer: From our perspective, the biggest advances we have seen have been in areas of integration and M2M connectivity. 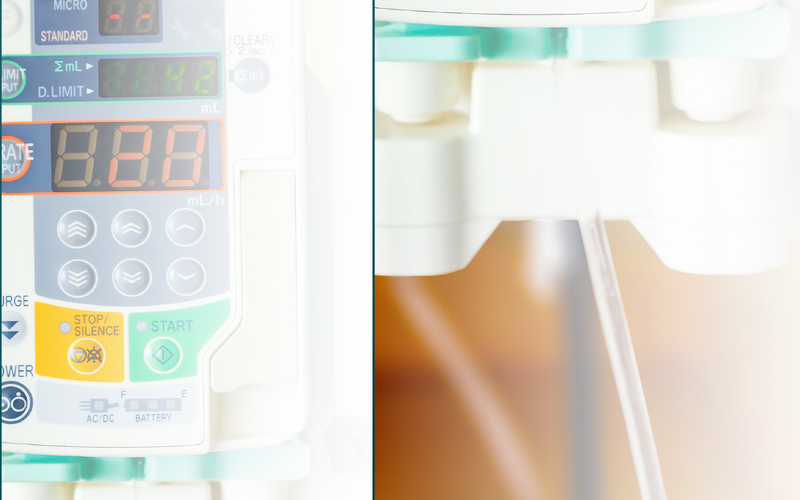 The Internet of Things is finally seeing great strides in the medical device industry – especially in the infusion pump world. Connectivity and security will again be hot topics for biomeds in 2018. Smith: Not a ton has really changed since the term “Smart Pump” was introduced about 10 years ago, which incorporates an extensive drug library, pump history, etc. Hospitals have began incorporating barcoding, which basically marries the pump to the patient as well as better traceability of what is going on at the nurse call stations. Zaitoun: There are a few advances in infusion pumps within the last year. The latest infusion pumps help prevent medication errors by alerting you to a pump setting that doesn’t match the administering of a drug. Wireless connectivity streamlines the patient information system and central systems. Barcode scanning for drug entering (auto ID), drug library editing software, diagnostic and maintenance software are also new features. Q: What factors should HTM consider to determine cost of ownership? Fischer: Total cost of ownership should, and in most cases, include training, parts, software, connectivity, reporting, etc. However, we are also seeing a shift to include opportunity costs becoming part of HTM decision-making. As resources continue to be stretched, low-revenue producing fleets/equipment are being scrutinized as to how best to incorporate a longer view of cost of ownership. Smith: Software, disposables, training and most importantly maintenance of the device. The maintenance of the device can get overlooked but can be very expensive over the course of 7-10 years of owning the device. Make sure you have a reputable third-party that can save you money and time, but still deliver the quality product/service that’s needed. Zaitoun: HTMs should consider the cost of equipment, technological features, operational features (capable of upgrades), cost of accessories and consumables. Installation requirements like integrating software and hardware, manpower training and time consumption should also be taken into account. Annual maintenance costs (labor/comprehensive), running cost and insurance cost are a few factors which need to be considered while purchasing equipment. Q: What are the pros and cons of buying brand new versus buying refurbished units? Fischer: In almost all cases where a facility is looking to change OEMs, we recommend going directly with the new OEM to make sure installation, security and training come from the OEM. The pros and cons of buying to supplant existing equipment depend greatly from where you are buying the equipment. In all cases of buying refurbished equipment, a facility needs to make sure the product has a longer warranty than OEM, the dealer understands machine-to-machine connectivity, and the quality of the equipment meets or exceeds OEM specs (no non-OEM parts). If these rules are not followed, buying refurb will be all cons! Smith: Expense, is really the driver behind this. Recertified is a great way to go due to how quality of parts and service have greatly improved over the last 5 years. You can get recertified units now that look pretty close to brand new. When selling recertified devices we change out cosmetic parts with new, replace sensors and ensure all boards are working properly. Zaitoun: The only limitation to refurbished equipment is that the technology is older, but most of the medical staff was trained to use this equipment, and already know how to work with it. The perks are that refurbished medical equipment costs less than new, and has lower maintenance and running costs. While new equipment has newer features, it will be harder for the medical staff to learn how to use the equipment. Since new medical equipment is twice as expensive as refurbished, it will quickly deplete a hospital’s budget. Q: What cybersecurity measures should be taken when it comes to IV pumps? Fischer: We have seen a large increase in our interaction with IT departments working with biomeds to insure connectivity and security. In most cases, we are acting as interpreters for IT to make sure pumps are secured correctly. Our biggest recommendation is deeper training for HTM professionals. Smith: The FDA has been working hard at investigating which devices may have the chance to be affected by a cyber hack, so continue to monitor their website for further information. Zaitoun: The connections from your networks to the Internet, and other partner networks, expose your systems to hackers. By creating and implementing some simple policies, appropriate architectural and technical responses; you can reduce the chances of these attacks succeeding (or causing harm to your organization). Rather than focusing purely on connections, think also about where your data is stored and processed, and where an attacker would have the opportunity to interfere with it. You can manage the network perimeter by use of firewalls, antivirus software, intrusion detection software, all to prevent malice. You can protect your internal network through secure wireless access, enabling secure administration, configuring the exception handling processes and monitoring the network. Q: Can you explain the importance of holding an in-service or clinician training on how to properly use the devices? Fischer: From our perspective, training is a mandatory step in making sure the setup is complete on all pump purchases. We also provide training on best ways to clean pumps – incorrect handling/cleaning of pumps causes more damage to fleets than any other cause. Smith: If a nurse doesn’t know how to properly use a device then there could be major complications to the patient. Infusion devices do have safeguards to prevent issues from occurring, but it needs to always start with the nurse. Zaitoun: Clinical training will help us to obtain the knowledge of operating instructions. Daily maintenance, storing and using the accessories, handling, sanitizing and sterilizing equipment are all pertinent information. Periodic training can help us to improve patient care, patient safety and avoid human error. Q: What else do you think TechNation readers need to know about purchasing and servicing IV pumps devices? Fischer: At Select Biomedical, we understand there are alternatives when it comes to pump sales, rentals and service. If we can offer any advice – while price will always be an important factor – we highly recommend also valuing experience in the field and connectivity, warranty/quality, customer service – and finally, how easy are they to do business with. Again resources are tight, needing to make a dozen calls to make something right, will cost you 3 to 4 times the original cost of a repair or pump sale! Smith: The OEM isn’t the only option when it comes to purchasing and servicing IV devices. The quality of the third-party market has grown significantly over the last couple of years. 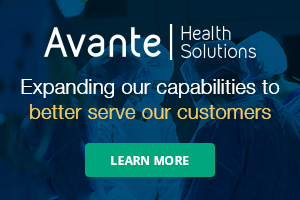 Work with a company that has their ISO certifications, is FDA registered, with a responsive sales/customer service team and a company that will get issues resolved same day so you can move on to taking care of the patients. Zaitoun: Purchasing requires much attention to detail. We need to think about the future technical requirements, safety recalls, accessories costs and maintenance costs. Always buy in large or cumulative quantity and use third-party inspection and certification of the equipment. Consider the service locations, turn-around time, technical training, maintenance of software and hardware, and to verify with tech support. Previous TechNation Roundtable articles are available here.